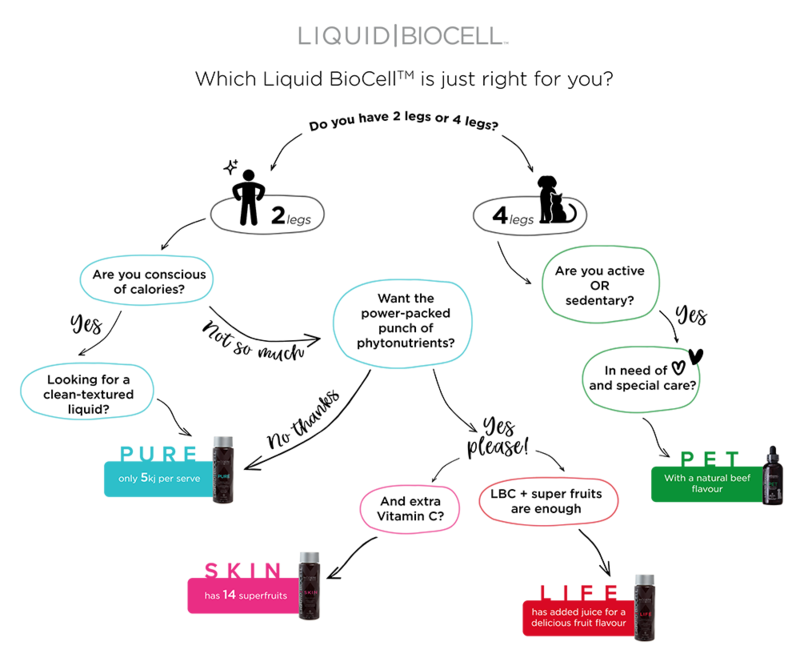 Change the way you feel about ageing and nourish your skin from within with Liquid BioCell™ SKIN. Shake well before use. Take one tablespoon*, twice a day. Best served chilled. Refrigerate after opening. Keep lid tightly closed. * Based on one metric tablespoon (equivalent to 15 mL). Two bottles will last 28 days if taken according to the usage guide above. Purified water, apple juice concentrate, hydrolyzed collagen type II (from chicken, 3.5%: contains hydrolyzed collagen 60%, chondroitin sulfate 20%, hyaluronic acid 10%), pear puree concentrate, ascorbic acid (vitamin C), grape juice concentrate, beet puree, natural flavours, green tea leaf extract, acidity regulator (citric acid), colour (fruit and vegetable juice), thickener (xanthan gum), preservative (potassium sorbate), sweetener (steviol glycosides), grape seed extract, pomegranate juice powder, jabuticaba fruit powder, acai berry powder, cranberry juice powder, mangosteen powder, goji berry powder, acerola fruit powder, amla fruit powder, macqui fruit powder, schizandra berry powder, strawberry juice powder, maltodextrin, bamboo stem and leaf extract, pomegranate fruit extract, modified starch, dextrose, lipowheat oil, sunflower seed oil, rosemary leaf extract.